Failure to do proper grooming at home can lead to illnesses such as rhinitis and asthma. Pollen, mold, mites, cockroaches, dust etc … can trigger serious problems for family health. Home care is the key to curbing possible allergies and triggering major diseases. If you have obstruction and constant nasal discharge, repetitive sneezing, headache, discomfort, redness of the skin or irritation of the eyes, you may have an allergic disease. Currently, the most frequent are rhinitis, asthma and atopic dermatitis, inflammatory processes that are caused by a high exposure to allergens, substances that are produced in the environment. In the specific case of those who suffer from asthma or related diseases, lack of cleaning in the home, can worsen their condition. The asthmatic patient has a tendency to irritate the respiratory tract by chemical or biological agents that are not regularly harmful to most people. These diseases have a systemic component, that is, when a person has rhinitis usually has a 65 percent chance of developing asthma and, likewise, can get sinusitis and dermatitis. Therefore, when these inflammatory processes occur, a series of problems can arise, not only physical, but also social, since, for example, difficulties in learning by concentration loss are generated in children, and in adults a significant decrease in labor production. Atopic dermatitis, for example, manifests itself especially in childhood. It is associated with asthma and rhinitis, because it is a spectrum of the same disease; is like a manifestation of these allergies in the skin. Pollen, mold, mites, cockroaches, dust etc … can trigger serious problems for family health. A proven study, conducted by allergy specialists, determined that allergies are mostly produced by poor hygiene in homes. However, in the interior spaces there are also agents such as mites, which favor these pathologies. These microscopic animals live on mattresses, pillows and blankets; feed on skin and food leftovers proteins. In this sense, good hygiene in the home is key to eliminate them. 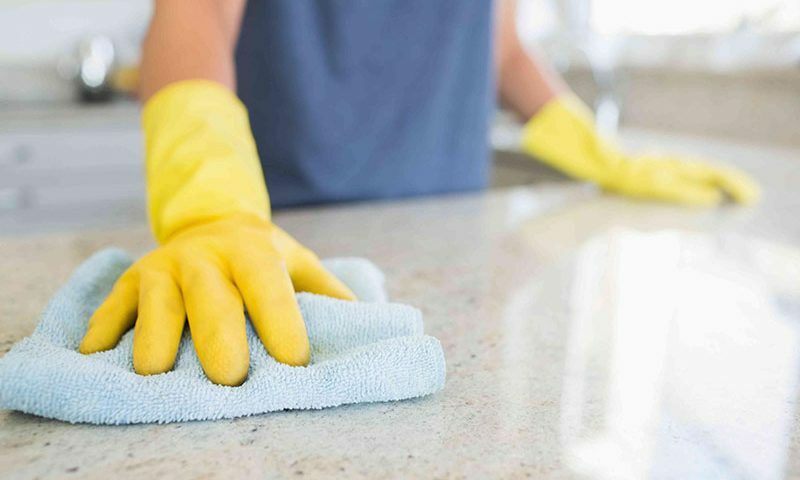 First we should know that cleaning the home is important to avoid allergies, since many of the environmental factors are found inside the house: like dust, pet hair, mold and moisture. Thoroughly clean the home every 15 days, including blankets, pillows, and mattresses. It is important to do a thorough cleaning of the home, including sweeping the different surfaces. If you have a carpet, you should vacuum it, since by the type of material they usually keeps particles of dust and hairs of our pets. To effectively remove dust from floors and furniture, use a damp cloth to prevent dust from dissipating and invading the entire environment and depositing in areas that you have previously cleaned. Also, do not forget to clean the mattresses. The sheets should not be place out in the sun, you have to leave them inside and, expose to a bit of air, not to let the dirt in the street get caught by the fabric. To prevent mold, you should inspect the most exposed surfaces, such as basements, kitchen and bathroom. It is important to periodically ventilate the house and use a dehumidifier if necessary, so that the humidity level is lower. Leave the closet open half an hour for air recirculation. Keep your house clean and reduce not only the chances of getting sick, but also the standard of living of all who live together will improve significantly. The hygiene measures that you must adopt are simple, you will realize that and the effects will be better. Create a home cleaning schedule with each of these measures as a habit of life and you will not regret it. If you need help with the cleaning of your home, count on us and you will get a professional result, a perfect hygiene. We have a large team of professionals who can carry out any task. In addition to having materials, tools and products specific to each circumstance. Our goal is to provide good service every time we clean your home. In general, the most requested service is every 2 weeks, but we also offer weekly cleaning, once a month, moving or any special occasion. Something very important and convenient for our customers is that there is no contract with us. Call us at 720-206-7809 for a quotation.